I love vi. I’ve been doing Flex development on Linux for about three years – mostly with vi. But to be honest when building complex applications it is nice to have things like code hinting and integrated debugging. I’m sure you *could* make vi do that with Flex but I am not brave enough to attempt to figure that out. 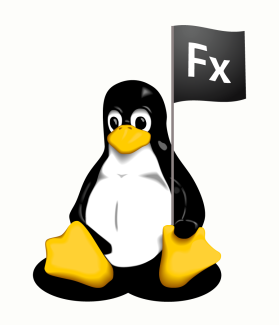 So I’m extremely excited that Adobe is releasing a version of Flex Builder for Linux! You can download Flex Builder for Linux from the labs.adobe.com site right now! Having Flex Builder for Linux really empowers us Linux geeks to easily build Rich Internet Applications. Flex 2 & Flex 3 applications can run in the browser via Flash Player 9 which has been available for Linux for more than a year. To run Flex applications as Desktop applications we need the Adobe Integrated Runtime, AIR. Adobe AIR isn’t yet available for Linux. But I’ve been having pretty good success testing / debugging Flex based AIR applications on Linux over the past few weeks since I discovered that you can use Wine and adl.exe to run AIR applications on Linux. This is great news for developers – especially developers that use Linux! But do I miss vi? I really do. I really wish there were vi key bindings in Eclipse (and there probably is but I haven’t found a project that does that yet). Go give the new Flex Builder for Linux a try and let us know how it goes! Please file bugs and feature requests on the public Flex bug database.